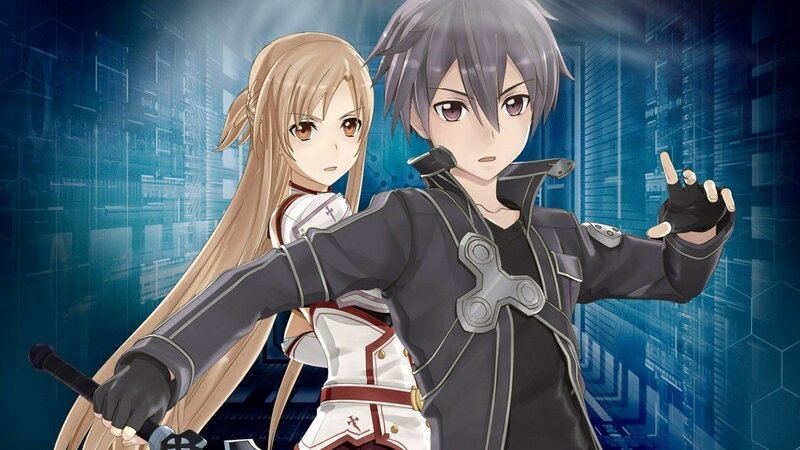 Sword Art Online Re: Hollow Fragment takes Bandai Namco’s PS Vita version of the hit manga and anime series to consoles. 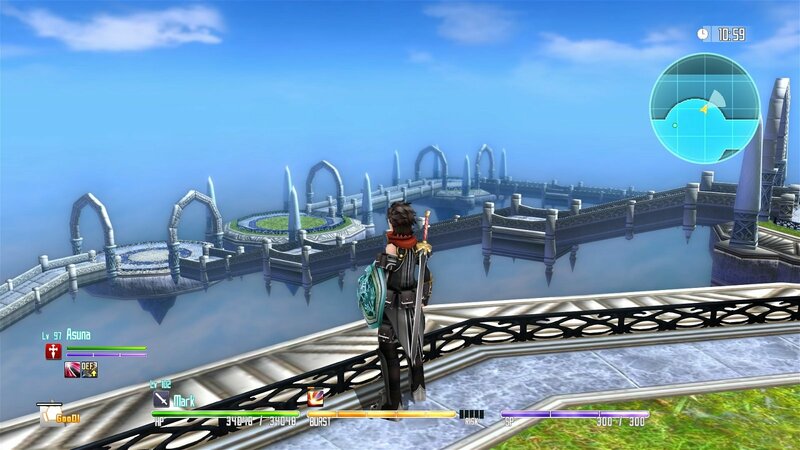 The original PS Vita version is an updated HD remake of the PSP game Sword Art Online: Infinity Moment, with an additional and separate storyline that takes place in a world outside the castle of Aincrad, called the Hollow. Re: Hollow Fragment extends this with new additions that include a new online multiplayer game mode to further enhance the Pseudo-MMO experience, additional bosses, and the ability to create a female avatar. SAO fans will find this to be a satisfying, although not perfect, addition to the franchise. Sword Art Online follows a community of players trapped in a VR MMO who must complete the 100 levels of the game or defeat the system creator, who plays the avatar Heathcliff, in order to earn freedom. The catch: if you die in the game, you die in real life, thanks to the sadistic developer, Akihiko Kayaba. It is up to the hero, Kazuto “Kirito” Kirigaya, also known as “the Black Swordsman”, one of the original beta testers with a reputation of being possibly the strongest players, and a team of high-level players to clear the game and save all those who remain trapped. Re: Hollow Fragment is a non-canon side-story to that of the original light novel/manga/anime that takes place after defeating Heathcliff at the 75th level of Aincrad. A glitch in the game’s system that corrupts gear and skills unlocks a side area and will not allow players to return to floors above the 76th level—it forces the players to continue to play until they have cleared the final level of the game. As the game opens, Kirito discovers himself trapped in the Hollow after clearing the 75th floor boss. Because Re: Hollow Fragment takes place in the middle of the series, players find themselves with a fully beefed up level 100 main character and all the perks that come with it, such as high-level skills and a generous amount of in-game currency. He meets another player who walks you through a tutorial of the in-game battle system. Although Re: Hollow fragment has an extensive tutorial system—20 or so hours of gameplay in you still experience them—a lot of the gameplay mechanics are left to the player to figure out. This is easy enough for anyone experienced in JRPG’s, who know what to look for, to work out. But for anyone new to the genre, these vague directions could be very frustrating. Newcomers to the genre will, however, find questing fairly easy as the dialogue will walk players through everything. It’s very hard to get lost or to lose track of what’s going on. The initial quest to battle through to the hundredth level of Aincrad is a good starting point for new players as well, since the enemies are fairly low level. However, if players start with the Hollow portion of the game, returning to the story will leave you a little overpowered for most of the floors, which can again become tedious. The mechanics themselves follow your typical JRPG battle system. As your level increases and skill points are accumulated, you develop new abilities that can be accessed during battle on a battle pallet. It comes with what you would expect from standard JRPG battle system: cool-down rates and SP consumption for various attacks, defence, support and enemy debuffing skills, status-boosting and healing consumables—nothing too outside of the box. The active time bursts are a fun way to unleash devastating attacks. It takes very little time to get used to, and once you do, it’s a compelling, active system to play. 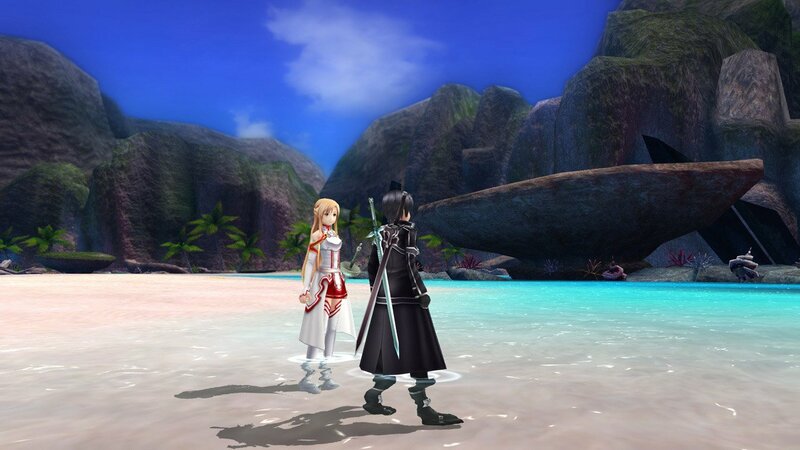 In addition to your own skills, Kirito can be accompanied by any of 100 other characters you meet through various quests throughout the game, including the initial main characters of SAO. Developing your partner’s skills adds to the complexity and excitement of each battle as players must keep an eye out and give a thumbs-up to skills they want them to develop. You and your partner can learn how to chain attacks or act as a support system. The further they improve, the more of an asset they become in battle. What’s great about the gameplay is how varied your experiences can be. Players are given a choice of working through two main storylines in two separate areas and a variety of side quests. There is also a dating sim aspect to Re: Hollow Fragment. In order to boost your affinity with the main characters, there are a variety of events that coincide with each of the main female characters. Fans of the series might be taken aback to find that Kirito can now go on “dates” with other characters than Asuna (his in-game wife, and focal love interest throughout the series) without any substantial consequence to the story. And although most of these events start off pretty “safe for work” with the obvious harem anime tropes that result in hand holding and a lot of innocent blushing, they do escalate to some situations that go beyond the scope of SAO— One of which includes a loving embrace from a tentacled plant that oozes an acid covered goo and melts off the armor of one of the characters. So, there’s that. The most significant addition to the PS Vita game is the online multiplayer mode. Kirito and an any of his companions can team up with up to four players online to quest through the Hollow, the only map available in multiplayer. Players can join existing parties looking for members or create their own that are either private to PSN friends or open to all players. You can customize the level limit of players as well, so new players needn’t worry about getting stuck on a mission that is too difficult. There is a tutorial available in the main area, but like the rest of the games tutorials, they’re vague and only marginally helpful. This is probably the only place where it makes sense to actually spend time developing your own Kirito avatar, so with all that, it’s a great new addition. The solo-multiplayer mode was probably my favourite new feature. Players can form a party with up to five NPC’s to accompany him through quests in the Hollow. It’s a great way to level up Kirito and potential partners alike. Yet it begs the question, why was this not included in the single player portion of the game? Since SAO is supposed to be an MMO, would it not make sense to have the option of forming a party larger than two members? It would have also motivated me to actually meet all 100 characters if I didn’t have the tedious task of leveling each one individually as I played the game. Graphically, not much has changed since Hollow Fragment first launched on the Vita. Although the character design is beautiful and sticks to the art style of the anime, the landscapes in the Aincrad dungeons are lacking and fairly repetitive. It’s not until you delve deeper into the Hollow that it really feels like a surreal fantasy world. The additional cutscenes hardly differ from the look of the in-game play, and if you’ve spent time developing your Kirito avatar, having him revert to the default in the scenes feels a little disconnected. Overall, it looks like a mediocre PS3 game at best, although it looks great when using the remote play feature on a PS Vita. Still, there was obviously a lot of time spent on the variety of armor for all of the characters, as well as the enemies that capture the look of the anime and manga. Like the PS Vita game, Re: Hollow Fragment has some very rough edges. There is still a significant drop in frame rate in any screen that is highly populated with NPCs, which can get very frustrating when you consider that this follows a typical JRPG game style of repetitive back-and-forth tasks. A few times, the playable characters or their NPC partners became stuck following a battle. The only way to unfreeze them was to trigger another battle. There was also the occasional time a monster initiated a battle from off the playable map, such as from the inside of a wall. The worst part is the lack of pause button. You had better be in it for the long haul during a dungeon raid, otherwise answering your phone could lead to Kirito’s death. If I were to nitpick, I would also like to see some of the other skills hinted at throughout the series like cooking or crafting skills, just to ramp-up the nostalgia of the JRGP experience. Overall, despite a few blemishes, Sword Art Online Re: Hollow Fragment is a fun game, especially if you’re a fan of the series. With a price point of just $19.99 on PSN, it’s well worth the investment. 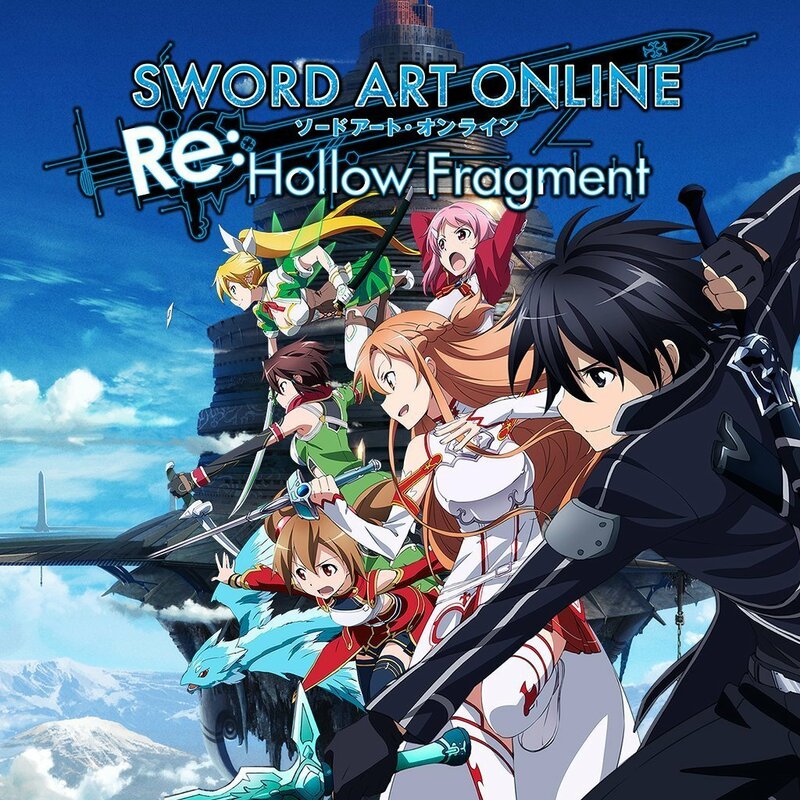 Even though there is very little that has changed since the Hollow Fragment Vita release, the multiplayer aspect definitely adds to the game experience and makes it feel slightly more like the MMO depicted in the series. Sword Art Online follows a community of players trapped in a VR MMO who must complete the 100 levels of the game or defeat the system creator, who plays the avatar Heathcliff, in order to earn freedom.